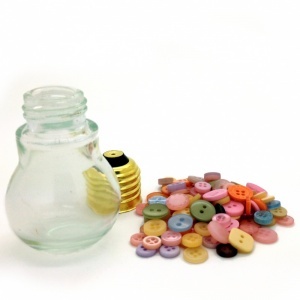 This stocking filler gift set is great for dressmakers, crafters and all round button fanciers. 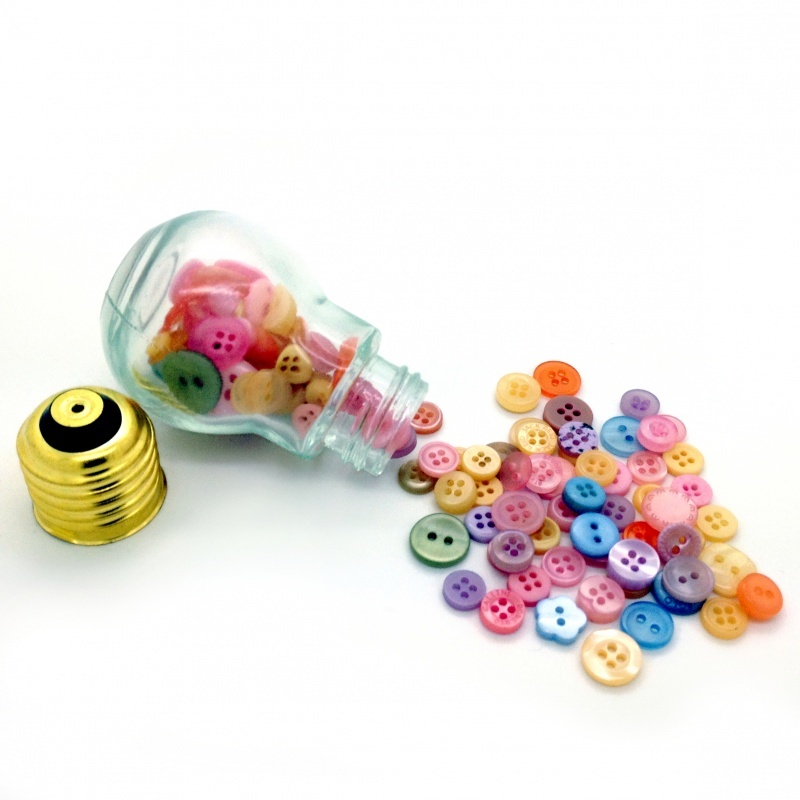 Each set contains a collection of pastel shade little buttons in a cute light bulb style jar, which is smaller than a standard light bulb, containing approximately 20-30g of buttons measuring between 8mm and 14mm. This is about 100-130 buttons, which will vary according to the mix of buttons in the selection.